Usually I write mostly about children or adolescents on the autism spectrum. However, I’ve been getting quite a number of emails lately from adults wondering if they have Asperger’s Syndrome or not, so I decided to share some information from my book to be published March 25, 41 Things to Know About Autism. Asperger Syndrome (AS) is a high functioning form of autism that has only been an official diagnosis since 1994. Adults with AS who seek help with challenges they face are sometimes misdiagnosed with depression, bipolar disorder, or other mental illnesses. It is important that adults questioning whether or not they have AS, seek the services of a professional experienced in assessing AS in adults (see resources below). If you are an adult with characteristics resembling AS, why does it matter if you get a diagnosis or not? If you are functioning well and have a job, and are happy with the life you have, then there is no reason to get a diagnosis. On the other hand, if you are struggling in important areas in your life, a diagnosis can provide a framework for understanding and learning about behavioral and emotional challenges that have seemed unexplainable until now. Although challenges in sensory integration (the ability to organize sensory information for use by the brain) are not considered diagnostic criteria, I have yet to meet a person with Asperger’s who does not have a sensory challenge of one kind or the other. Do you have a tough time making and/or keeping friends, and don’t understand why? Or perhaps your friends are only interested in you when you’re engaged in an activity or interest that you share, but you have not built a personal relationship. Are parties not your thing because you feel uncomfortable or overwhelmed? Social events are a great way to meet people and they can be essential for business, dating, and even marriage. But if you are uncomfortable because you are unsure of what to wear, how to start conversations, you have a hard time reading body language, then these supposedly fun events can be torturous. Do you avoid social events because you can’t hear the person next to you over the hum of the crowd, you don’t like the touch of shaking people’s hands or having people pat you on the back? Do you a problem focusing on what people are saying while looking at them? Have you ever met someone special that you wanted to get to know better, but didn’t have a clue as to how to go about asking him /her out on a date? Has someone you are very fond of pointed out certain behaviors that drive them crazy and suggested that you might have Asperger’s Syndrome. Maybe there is something to their suggestion. Do you have a passionate interest in a certain subject or topic? Perhaps you’ve been called obsessive but you think you’re just very interested in one incredibly fascinating subject matter. This passionate topic could help you in other areas of your life, if only you knew how to use it. If you are a college student , do you have trouble keeping up with coursework and finishing a degree? Perhaps you could use some help in getting and staying organized and planning your time. Do you have trouble in getting and keeping a job that reflects your abilities even though your credentials look great on paper? It could be that you are very talented but don’t have a clue as to how to do the sell your self during an interview. Maybe the office politics are just something you don’t get, so you are routinely passed up when it comes to promotions. You can begin the process of learning to live more adaptively with an Asperger’s brain. It may also help others in your life understand why you are the way you are, and respond to you differently. There is a whole community of people who get who you are, how you think, how you feel, and that you can share experiences with. There are autism and AS support groups out there (on-line as well as in person) who can help you in many ways so you don’t have to feel isolated and figure everything out for yourself . You may be eligible for service services in areas of need thanks to having a diagnosis – perhaps help with finding a job or a place to live. Typically you need to see either a clinical social worker, a licensed professional counselor, a psychologist, a psychiatrist or neuropsychiatrist. It is important to see a professional who specializes in autism spectrum disorders or Asperger’s Syndrome, who is familiar with Aperger’s Syndrome in adults. One way to find the right person in your geographical location is to contact The Global and Regional Asperger Syndrome Partnership (GRASP), http://www.grasp.org/and the Autism Society of America (ASA). These organization may have chapters in your area. If not, they can provide you with the names of professionals who would know someone to refer you to, in your geographical area. 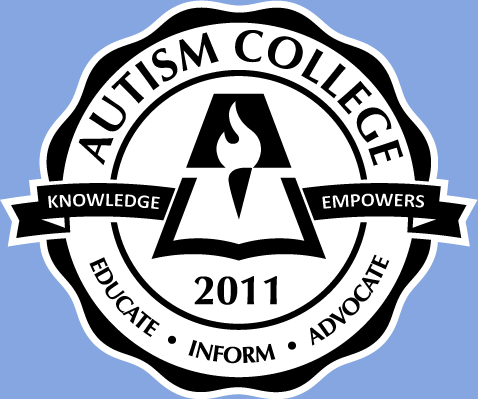 if you know parents of children with autism, ask them about the professionals in your area familiar with autism. If those professionals cannot help you, they will refer you to someone in your area familiar with AS in adults. To find out what some adults have to say about growing up with AS, read Autism Life Skills.